With built-in USB connectivity and optional Wi-Fi, V-Log4 offers all the features you need at a ground breaking price!. 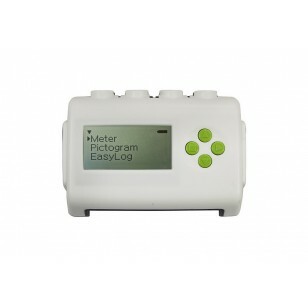 A low cost 4 channel remote data logger. At any time an additional Wi-Fi module can be added to this product, to enable it to connect wirelessly to PC's, Mac's & iPads & Android devices. Ideal storage for all school kits including outdoor, science and maths - both for primary and secondary levels. Easy to transport, stackable and water resistant - making it perfect for outdoor education, especially field work including data logging. Lightweight design ensures SmartCaseTM is suitable for all ages.